Office to Rent - Are you looking to grow your business? Office to Rent – Is your business growing? Are you looking for a local office address? If so, Long Eaton Hub is for you. We currently have an office to let in our dedicated Business Centre located just off Long Eaton High Street that would suit 1-2 people. Leasing an office from us means that you are free to focus on your business. We take care of the premises management including cleaning and maintenance of public areas. 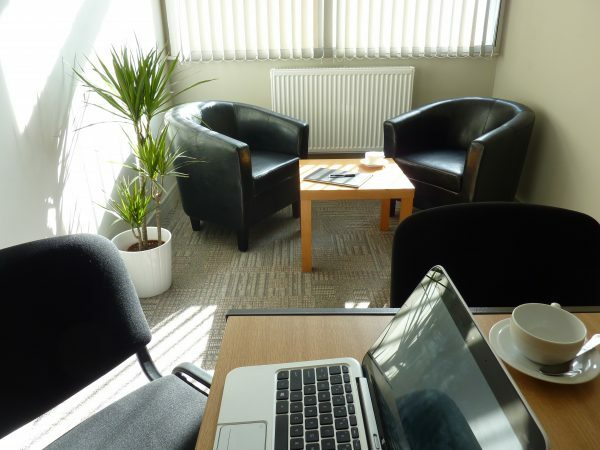 Leased offices are cellular and the centre also offers a hot desking area and separate meeting rooms. There is a large boardroom/training area with AV equipment for rent. High quality catering can also be provided. These additional facilities provide greater flexibility for your business. When leasing an office from us, you get so much more with ready access to our networking events that regularly attract 15+ businesses and Hub members, giving you greater business connectivity on your doorstep.